Partners Finley Knight and Jon Knight believe that a quality product is achievable through effective management and knowledge of the industry. Their excitement and commitment to their business has enabled them to consistently complete outstanding projects and lengthen their list of satisfied customers. Over 40 years later, C.F. 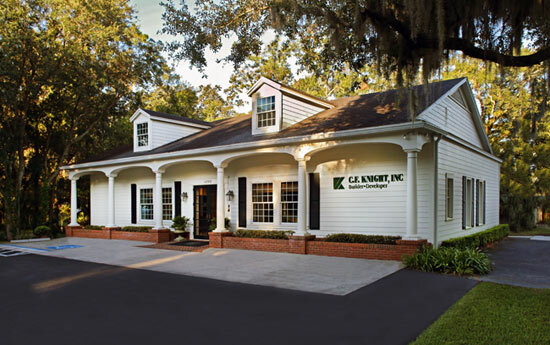 Knight, Inc. has proven staying power and has earned a renowned reputation within the Jacksonville building industry – among architects and designers alike. C. F. Knight has always strived to be considered the best high-end residential builder, consistently working to provide excellent quality and value to our customers. We build trust through communication and transparency with all our owners. Our reputation is our most important asset. At C.F. Knight, Inc., we provide a full range of services – from design/build projects to commercial projects – and have an experienced construction team to make them a reality. Cooperation and teamwork among the owners, architects, and designers holds C.F. Knight, Inc. a step ahead of the rest. Contact us at (904) 387-6148 or fill out our contact form. We look forward to building a new home and relationship with you!